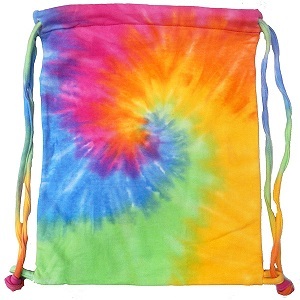 A tie dye drawstring sports bag that has a pastel spiral tie dye design. It's made of 80% cotton / 20% polyester fleece 8.5-oz. and has matching drawstrings. It measures approximately 17" x 13".